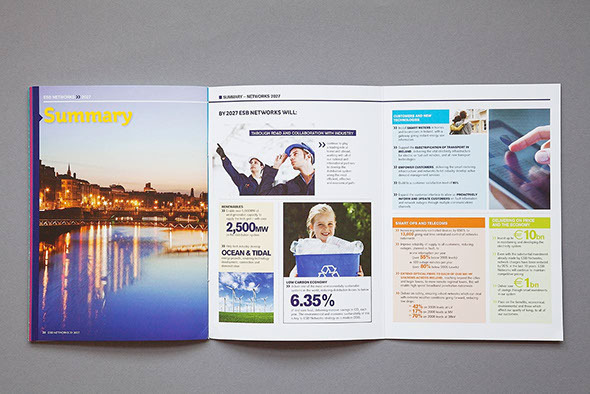 We produced this once-off strategic plan which was distributed to internal and external stakeholders of ESB Networks. "I would recommend Zahra Media to a friend/colleague because of their professionalism, creativity and ability to listen to the client, understand their needs and work collaboratively with them to realise an end quality product within an agreed timeline and budget." 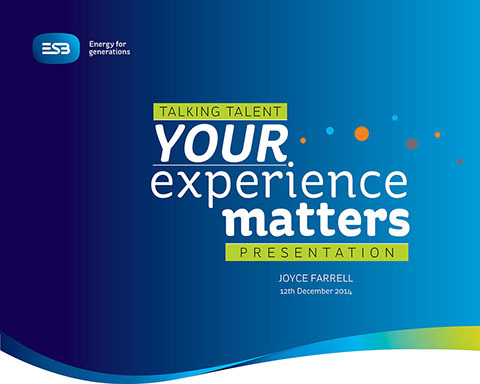 We created branding and a logo for ESB International’s new HR initiative, CARE: ‘Creating a Remarkable Environment’. We also developed an accompanying presentation, which introduced the CARE concept to the wider ESB International community. "I would recommend Zahra Media to a friend/colleague because they've got the creativity and the business capability too. By that, I mean that they have the creative ideas and vision - they pull it out of the box for us every time - but they're also able to balance that with practical, timely business delivery. In my experience, not all companies can do that and when you find people who can, you should treasure them! Plus, they're always an absolute pleasure to deal with - always friendly, always professional and helpful." 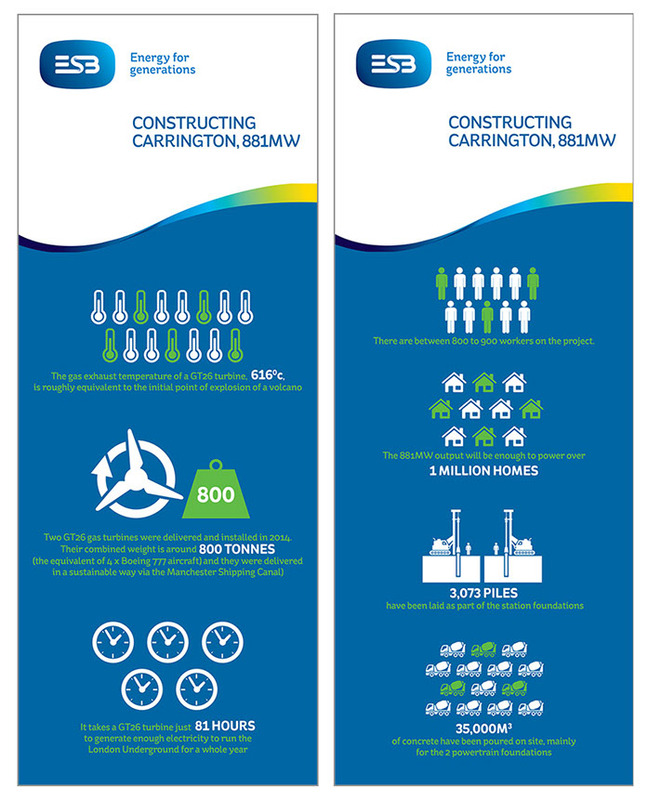 We created this infographic on behalf of ESB’s Generation & Wholesale Markets division, in order to communicate information about the company’s latest major development in Carrington, England.